We recently conducted a survey to assess and evaluate the latest software development trends amongst our customer base and more than 1,300 people weighed in. While most of our insights are focused on process, one thing stood out to us that we wanted to dig deeper into: 80% of respondents said the average development team in their org had 10 or fewer members. Here are our thoughts on why that’s happening, and the advantages small teams enjoy. This is the 2nd post in our series on the software development trends we’re seeing from our customer base. Check out our first post and stay tuned for more! As we mentioned in our previous post, we recently conducted a survey to assess and evaluate the latest software development trends amongst our customer base and more than 1,300 people weighed in. While most of our insights are focused on process, one thing stood out to us that we wanted to dig deeper into: 80% of respondents said the average development team in their org had 10 or fewer members. Is small the new black? 80% of developers surveyed said their teams have 10 or fewer members. When looking at the development organizations as a whole, smaller orgs (1 – 100) move faster when pushing code to production. 37% of small dev orgs reported that it takes less than 4 hours to push a line of code to production, compared to only 23% of medium and 17% of large dev organizations. This is likely due in part to the fact that smaller organizations tend to have simpler processes with fewer cross-team dependencies, and that simplicity translates to speed. While the adoption of Git and agile doesn’t depend on team size, we think it’s played a huge part in this shift to smaller teams. In fact, 88% of organizations with 100 or fewer members reported their team had adopted agile practices and migrated to a DVCS, like Git. Both agile and Git help teams of any size adapt to changes quickly. And because pivoting tends to be especially easy for smaller teams anyway, agile and Git are an especially natural fit. Agile practices were originally developed to support teams of 5-10 people and nearly every new dev org adopts agile from the start. These teams newly formed teams tend to be small simply because the department (or company) is new. But as they grow, new, self-organizing teams begin to form around specific projects. And because Git is the dominant VCS nowadays, these teams are also adopting Git from the get-go. Git lets teams take advantage of faster development patterns with easy branching and merging. And with smaller repos, things are cleaner and more efficient, helping the team move even faster. 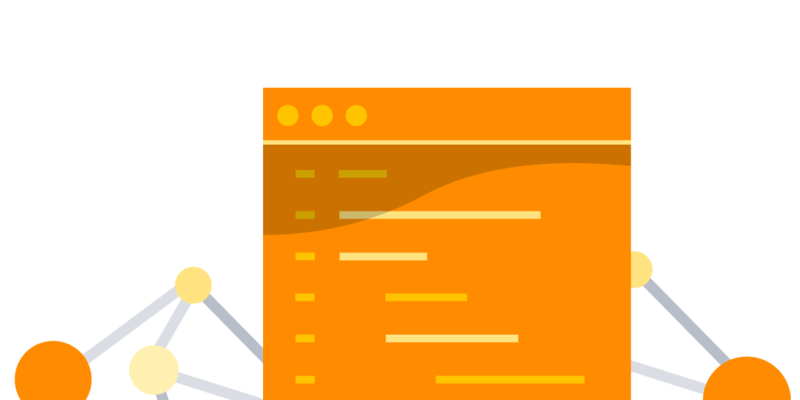 We love helping smaller teams get started with Git and agile – whether through free tutorials and resources like Getting Git Right and The Agile Coach, or built-in best practices inside the tools themselves, or by making Bitbucket free for teams of 5 or fewer developers. Smaller teams predominantly choose products hosted in the cloud rather than hosting them on their own server. Cloud-based tooling and technologies eliminate the burden of managing infrastructure, internal support, and upgrades. This is great news for small teams, especially those in start-ups who may already be working overtime just to keep the ship afloat! When you’re still growing, you want to spend your time (and money) on things that will increase revenue and lead to growth – not on system maintenance. As we mentioned in our first post, automation is critical for all teams, regardless of team size. But for smaller teams who are trying to do more with less, reducing manual work can save them countless hours and lets team members excel in their area of expertise. Integrations play a big role in this – what if your developers could start coding on a new branch, which would automatically be put under test by the time they made their first commit to it? Your devs stays focused and where they want to be – in the code – helping your team move even faster. Even if you’re working in a large organization, you can benefit from the software development trends we are seeing amongst small teams. Are you curious to find out how your team compares to others in your industry or how to get a leg up? We built a comparison tool that lets you see shows you how your team stacks up to others in your industry. Stay tuned for more insights from our customer study. We’ll be back soon with a post dedicated to Git insights. In the meantime, have fun with the comparison tool!